French film noir master Jean-Pierre Melville’s first full realization of his own take on this genre was with Le Doulos (1962). 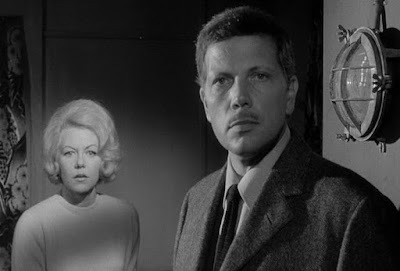 With Le Deuxieme Souffle (1966), however, he plunged even deeper into the expressionistic gloom that pervades the entire world depicted in these stories. 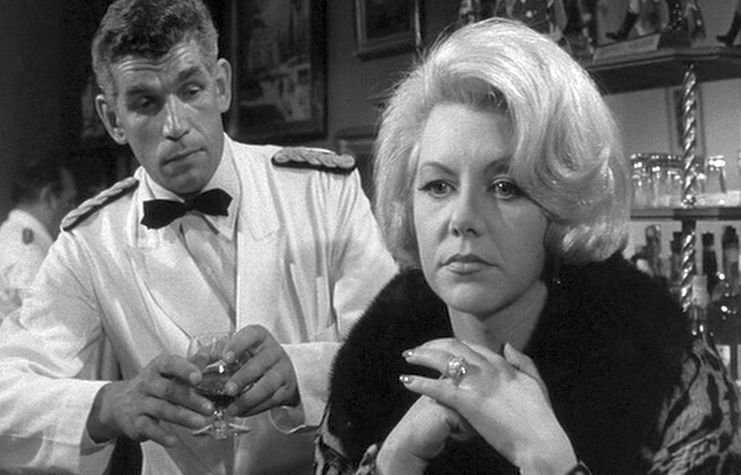 In a film noir, most of the characters are isolated and cynical lawbreakers with unknown pasts and uncertain futures. They are just trying to survive to the next day in a chaotic and immoral universe. 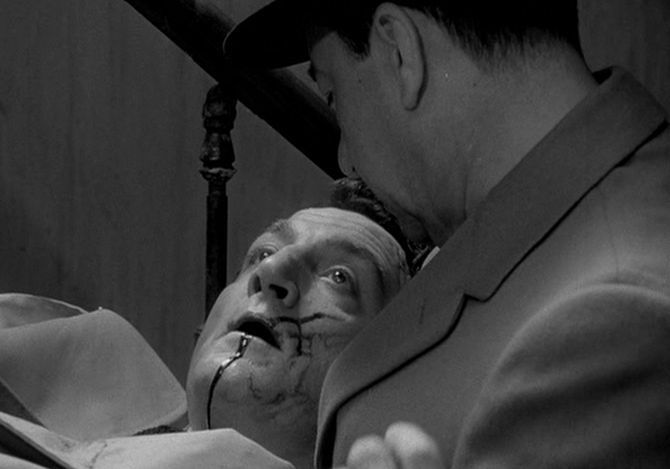 A key aspect of a film noir is its presentation of existential alienation. This feeling of loneliness and separation is externalized in these films to the entire environment, rather than examined by looking into the mental states of the characters, who are invariably taciturn and uncommunicative, anyway. This is what makes the best of these film heavily expressionistic – the viewer seems to be inside an expressionistic nightmare that is being dreamed by noone in particular. Fatalism. Most of the characters are trying to escape from their pasts and have little hope for the future. Truth. The world is dark and confused. Noone seems to know the truth and the full story. Loyalty. Given the pervasiveness of opportunism and deceit, finding someone to trust and being trusted is of life-saving importance. This is often the dominant theme. In a gangster film – take Scorsese’s Goodfellas (1976) for example – existential isolation is usually not such a key factor. There is a boisterous community, a brotherhood. People here are constantly making jokes and loud boastful gestures as a way of maintaining their standing in this “community”. Loyalty to the brotherhood is important, but is generally presumed. And a hopeful future is often envisioned. In a film noir, on the other hand, everyone is cut off from each other. The dialogue is minimal, and communication is often conducted by brief glances and minimal gestures. Loyalty is always in question and of fundamental importance. In Le Deuxieme Souffle, a quintessential film noir, the features of fatalism, truth, and loyalty take center stage and are the major themes of the film. The script is based on the 1958 novel by “José Giovanni” (Joseph Damiani), who, himself, was a former criminal and had spent 12 years in prison. He had also authored the 1957 novel, Le Trou, which was made into the 1960 film of the same name directed by Jacques Becker. 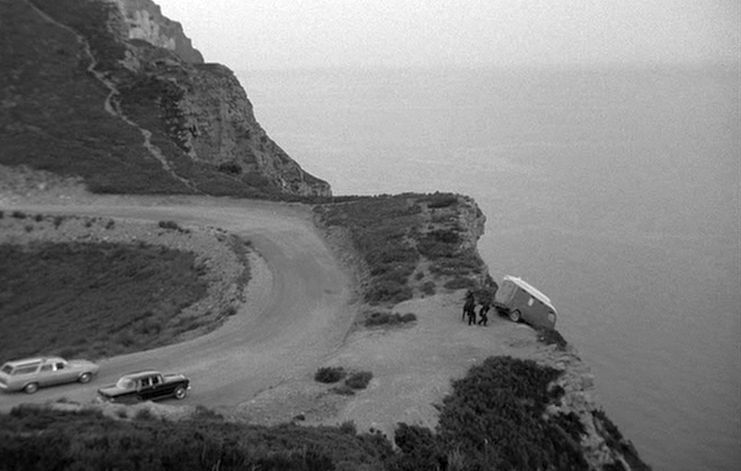 The story of Le Deuxieme Souffle is complicated, and the viewer must struggle with the slow-disclosure revelation of information in order to make out what is happening and the relationships among the characters. As is characteristic with many of Melville’s films, there are multiple focalizations, and the viewer is placed in the position of an extra “invisible witness” who is trying to get the best view of what is going on. One can view the narrative as comprising five phases. In the first section of the film, the viewer is introduced to three separate theaters of action, which will eventually come together. The film opens with a daring prison escape by three inmates – one in his early 20s, one in his 30s, and one in his late 40s. In the early shots, they have to make a dangerous leap from the roof onto a tall, narrow parapet surrounding the prison. The thirtyish guy makes the jump, but the younger man fails and falls to his death, while the older man just barely makes it. 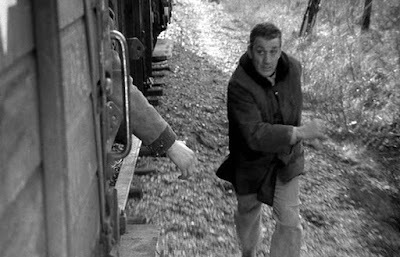 Moments later the two survivors make it out and try to jump onto a passing freight train. Again the older man just barely manages to make it onto the passing boxcar. These opening images of desperation haunt the rest of the film. We feel that the older man is unlikely to survive the dangers that are ahead of him. 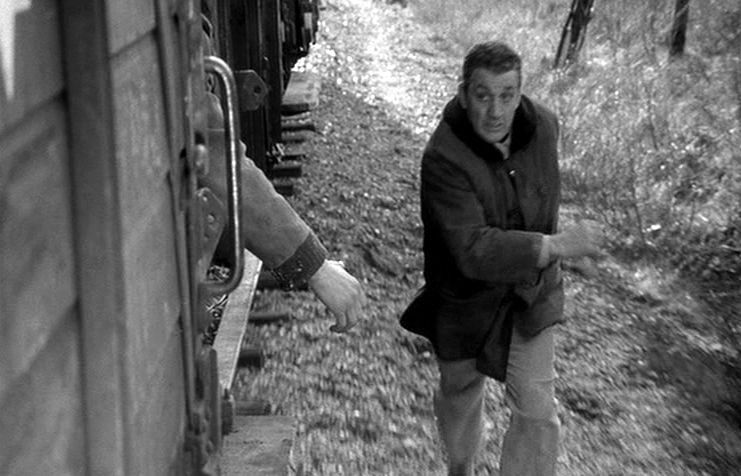 In fact the English meaning of “Le Deuxieme Souffle” is “Second Wind” (or “Second Breath”), and there is a suggestion that this prison escape gives the older man, Gustave (“Gu”) Minda (played by Lino Ventura) his second wind in life. But to me it is more like a last gasp, as the story gradually makes clear. At any rate this first theater of action is centered on Gu. A second theater of action is in Marseille, where nightclub owner and cigarette trafficker Paul Ricci (Raymond Pellegrin) is making arrangements with a police informer concerning some criminal heist they intend to pull of about six weeks later. But Paul’s partner Jeannot first wants to make a quick trip to Paris to bump off someone named Jacques the Lawyer, who apparently has double-crossed them (i.e. he has been disloyal) somehow. The third theater of action is in Paris, where Simone Pelquier (Christine Fabréga), who is known as “Manouche”, runs a posh restaurant affiliated with the Paris underworld. Her bartender, Alban (Michel Constantin), is actually a tough gangster, but he is the embodiment of fierce loyalty and totally dedicated to Manouche’s welfare. She is being courted by Jacques the Lawyer, when Jeannot, from Marseille, shows up and guns Jacques down in the restaurant. In the process Jeannot is mortally wounded. Police commisaire Blot (played by Paul Meurisse, who was memorable in Clouzot’s Diabolique (1955) and Renoir’s Le Dejeuner sur l'Herbe (1959)) arrives with policemen to investigate. Blot is the face of law and order in the story, but he is utterly cynical about human honesty, truth, and integrity. He only puts his faith in the scientific findings from his on-the-scene investigations. At this crime scene he cynically informs Manouche and Alban that their old friend Gu, after having served ten years in the pen, has just escaped from prison, which suggests to the viewer that Gu must have had some past romantic relationship with Manouche. Blot never tries to restrict or conceal things from the criminals he is watching. He wants them to be free to make take the actions that will reveal their guilt. That evening Manouche and Alban come to Manouche’s home, where they are ambushed for a shakedown by two thugs who eventually reveal that they were hired by Jo Ricci (Marcel Bozzuffi), Paul’s brother who runs a Paris nightclub. But Gu makes his way to Manouche’s home and after getting the drop on the two thugs and taking them prisoner, summarily shoots them dead. So Gu is now an enemy of Jo Ricci. Up to this point the pace of all these scenes has been very rapid, but now things slow down. In this section of the film, various factions start coming together. Paul Ricci’s planned caper is revealed to be the highway robbery of a police-escorted truck carrying 500 kg of platinum. The haul will be enormous, but with Jeannot now gone, Paul needs another trusted person to fill out his four-man team. He talks to his brother Jo and realizes that he can’t trust him. Then he considers another person, Orloff, who may be available. Orloff turns out to be a key figure. He is the ultimate film noir icon – taciturn, circumspective, always wearing his fedora, even indoors. Orloff is also, somewhat like Alban, ultimately trustworthy, although because of his reticence he is always under suspicion. 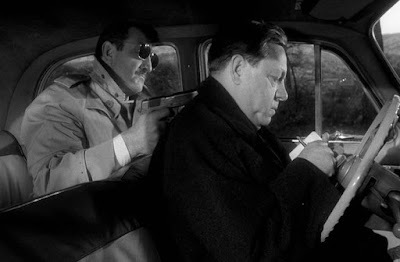 Anyway, Orloff is offered the job as the fourth member of the heist team, but he says he needs a week to think about it. Meanwhile Blot figures, correctly, that Gu will attempt to assassinate Jo, and he sets up an ambush. But on arrival at Jo’s nightclub, Gu gets suspicious and backs away at the last moment. So nothing happens on that occasion except atmospheric expectation. Afterwards Manouche convinces Gu to go to Marseille, where she can keep her lover, Gu, in a hideaway and make arrangements to make an escape from France on a boat to Italy. Out of some mysterious feeling of loyalty, Orloff wants to anonymously help Gu. He arranges for a fake passport for him and gets Paul and his men to accept Gu as the fourth member of the platinum heist team. 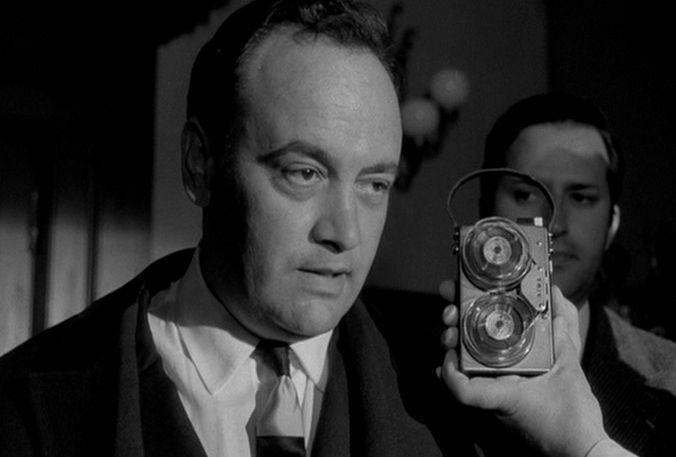 Paul’s readiness to accept Gu indicates that Gu passes the loyalty test in this noirish underworld. The actual platinum theft is shown in detail over 13 minutes of screen time with almost no dialogue. Everything goes like clockwork. 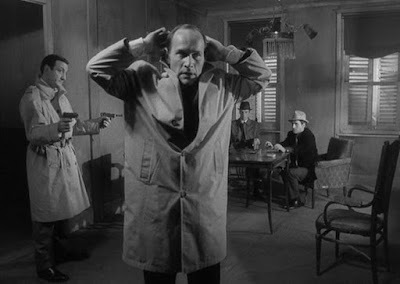 When the police in Marseille learn about the theft, they spring to action, led by the crude police inspector Fardiano (Paul Frankeur). But Commissaire Blot, from Paris, also arrives in Marseilles, because he suspects that it was Gu who killed the two thugs earlier back in Paris and now he thinks Gu is involved in this affair, too. He relies on the scientific evidence of examining bullet casings to confirm his suspicions. But Gu is now sporting a mustache and hard to locate. His fascination for watching petanque bowling games on the Marseille streets, though, causes him to mingle among a crowd, and he gets recognized by an off-duty prison guard. 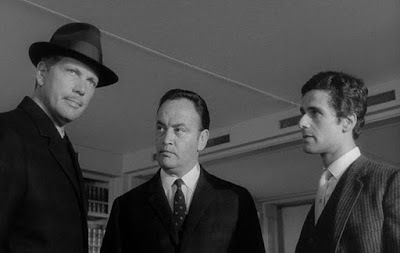 Blot then organizes an elaborate ruse to have fake gangsters capture Gu and get him to confess his crime. The interesting thing about this action is that Blot knows Gu would never confess anything to the police – that would be getting his criminal associates into trouble and would therefore be an act of betrayal. But Gu is more likely to speak the truth to fellow gangsters. So Blot’s fake gangsters, equipped with a hidden tape recorder, capture Gu and accuse him of gang disloyalty (disloyalty to an evidently known gangster called “Nevada”). Gu angrily denies having been disloyal to Nevada, but in the process inadvertently reveals who was involved in the platinum heist. Gu is then arrested, and his taped confession is used to arrest Paul. The contrast between the “scientific” Blot and the brutish Fardiano is highlighted here when Fardiano promptly employs torture (unsuccessfully) in an attempt to get Gu and Paul to give explicit confessions. The beaten-up Gu is in the hospital and under police guard. And now, thanks to a false police lead to the newspapers, everyone thinks Gu has intentionally ratted on Paul and will rat on everyone else, too. So Jo Ricci and Paul’s two still-at-large accomplices, Pascal and Antoine, want Gu to be bumped off. Orloff, a staunch believer in Gu’s loyalty, says the news reports must be false and remains loyal to Gu. So everything comes down to loyalty and the “honor among thieves” ethos that dominates the film noir psychospace. For the short-horizon noir characters, maintaining a clean loyalty reputation is more important than long-term planning about a future life. And so Gu is desperate to break out of the hospital and clear his name. There is still more than a half-hour of the film left, and you can see for yourself what happens in the end. 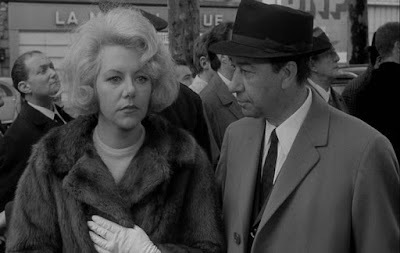 There is truly an emphasis in Le Deuxieme Souffle on loyalty and on determining whom one can trust in this dark and desperate netherworld, but the film’s coverage of this topic is not as simple as some people might think. Considering those people who have a devotion to loyalty, we might identify Gu, Paul, Alban, and Orloff. On the other side, Jo, along with Paul’s other two accomplices, seem to have no sense of honor; they are pure opportunists ready to cash in on every opportunity. In fact they dismiss Gu as old-fashioned and no longer up to the play of the modern criminal scene. But is it really just a contest between these two groupings? A number of reviewers see Gu as something of a dark hero in this story, upholding his honor at the risk of his life. I do not see much to admire in Gu, other than his grim determination. He kills seven people in this film, and none of them in self-defense. He is a total short-term narcissist, who is primarily obsessed with maintaining his face in the underworld – even at the cost of his own life. Paul is in the same league, having planned a highway heist that necessarily involved the planned murders of two policemen to pull it off. So these two characters are not honorable, to my mind; they are simply relying on a credo that they have grown up with. In the same way many of these ruthless gangsters, following their Roman Catholic upbringing, cross themselves when they are in the presence of (and often bringing about) death. There is no depth to their behavior and nothing to admire in their actions. Moreover, Blot does not really offer a moral alternative. He is more like a cynical Greek chorus, who watches and sometimes manipulates the events around him. Although he believes in scientific investigations to uncover criminals, it is not clear that he strives for truth, since he explicitly lies to Manouche at the close of the film. Whether that lie serves any purpose is not clear. Gu knew he was doomed, too, and he signaled this when, late in the piece, he shaved off his mustache. He had become weary of his hopeless life but still wanted to preserve his face.